Anyone ever stay on this street before? Never stayed in 12 but dined at Cabbage and Condoms many times which is around 100 metres in. At the entrance are various Korean shops and spas but haven't been. There was a nightclub nearer Suk, but I think it closed a few years ago. Half way between Asoke and Nana BTS, yet not much else going for it as a holiday base IMO. 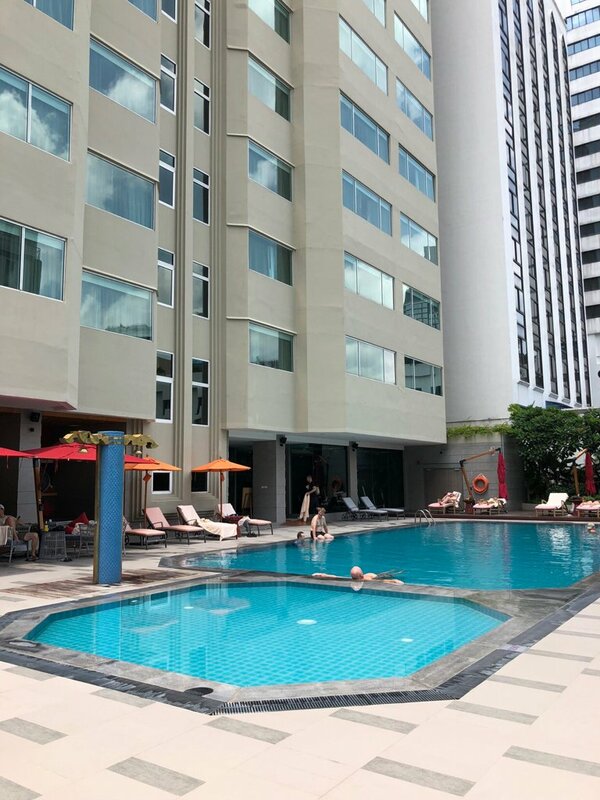 What's the best hotel on Soi 8? Pool on the roof of new Ibis/Novatel is nice. Would it be listed under Ibis or Novotel? I want to try a new soi Bangkok too, although I've only done 11 once. Does 8 have a few massage joints? The regular kind. @m26 this was the pool at Mercure on soi 11. Big and not covered. There are some big sized sun-sofa loungers too with umbrellas.